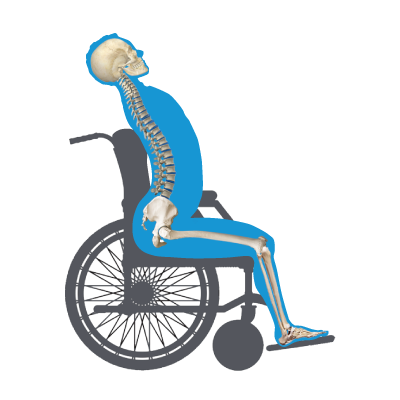 When it comes to assessing our clients’ posture and problem solving what can be achieved through the seating system, it is critical that we are familiar with the common postural abnormalities seen in wheelchair seating and positioning. What am I looking at? What is the body doing that it shouldn't be doing? 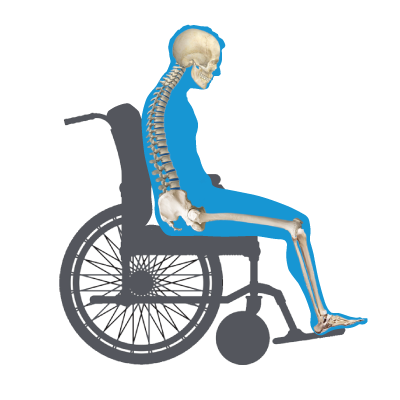 Before we can assess for any abnormal postures that need to be corrected or accommodated in the wheelchair system, we must first understand neutral posture in order to assess any variance from “normal”. What is the pelvis doing? What is the spine doing? 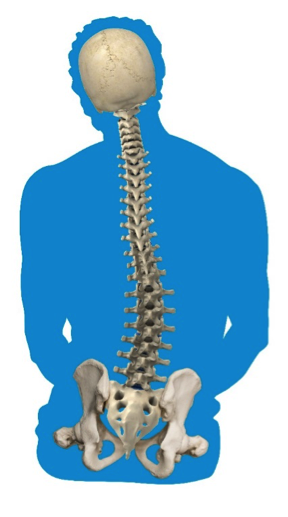 Spine is balanced and upright, no rotation, no lateral curvature. Normal lordosis in cervical and lumbar spine and normal kyphosis in thoracic spine creating the desired “S” shape. What is the head doing? Head is functionally upright with possible mild forward/lateral flexion or rotation. Pelvis sits with ASIS higher than the PSIS resulting in the posterior pelvic tilt, which produces the “sacral sitting” posture. *This can results in decreased interaction with the environment, difficulty with eating/swallowing, impaired respiration, and compromised ability to perform ADLs. Pelvis sits with PSIS higher than the ASIS, resulting in the anterior pelvic tilt. Excessive lordosis of the lumbar and cervical spine: the individual hyperextends his back over the sling back of the chair, placing him at risk of tipping the chair backwards. Excessive lordosis of cervical spine causes hyperextension of the neck and upward eye gaze. *This can result in decreased interaction with the environment, difficulty with eating/swallowing, impaired respiration, and compromised ability to perform ADLs. Pelvis sits with L or R ASIS more forward than the other, producing a rotation in the hips. The thoracic spine follows and rotates in the same direction as the pelvis. Therefore, if the right side of the pelvis is rotated more forward, the right side of the spine is rotated more forward as well. The neck will go into lateral flexion as if the person is dropping the ear to his or her shoulder. Tip: There are two ways of naming pelvic rotation; one for more forward ASIS/PSIS and the other for the direction the pelvis is rotated towards. So, be sure to be descriptive of the position of the pelvis in your documentation so that the payer understands clearly why you are requesting the specific equipment needed to address this issue! 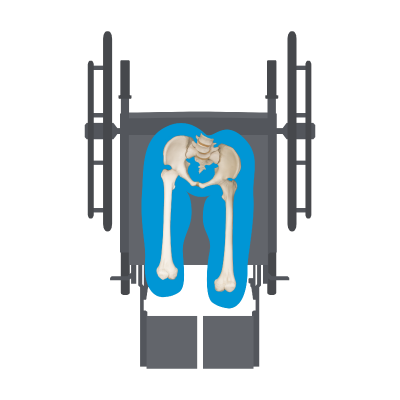 Pelvis sits with the L or R ASIS/IT higher than the other, causing the raising up of one hip relative to the other. When one side of the pelvis is raised higher than the other, the thoracic spine curves away from the higher side creating a scoliosis. The neck will go into lateral flexion as if the person is dropping the ear to his or her shoulder. The lateral flexion will usually be towards the side where the hip is higher. Tip: Pelvic obliquities are named for the side of the lower ASIS/IT. So, in the picture above, this would be called a RIGHT pelvic obliquity. Usually goes hand in hand with a rotation and/or an obliquity and causes one leg to ADDuct/internally rotate and the other leg to ABDuct/externally rotate, presenting as if the legs were “swept” away together to one side of the chair. Will present usually with a rotation or scoliosis, depending on the position of the pelvis. The neck will go into lateral flexion and may be accompanied by forward flexion. Tip: Windswept deformities are named for the direction the lower extremities are “swept” towards; so, in the above picture, this would be a LEFT windswept deformity. Can they move in and out of the abnormal posture? Or is it fixed? When a posture is FLEXIBLE, the skeleton still moves and equipment should be chosen with the goal to CORRECT the abnormal posture. 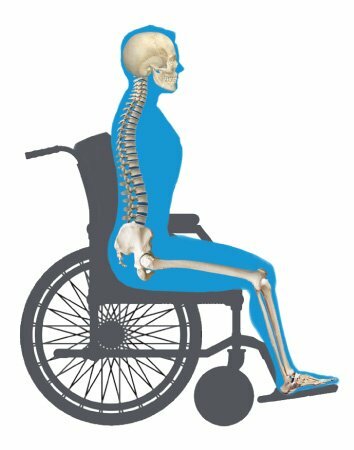 When a posture is FIXED, the skeleton does not move out of the posture. 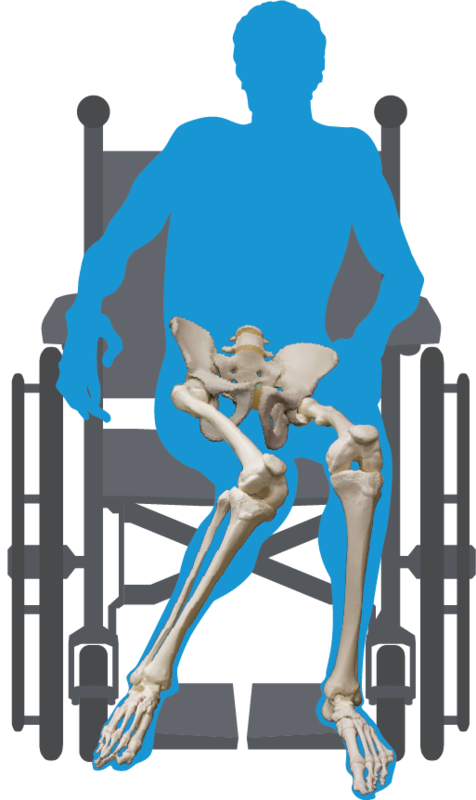 The patient needs equipment that will ACCOMMODATE the fixed posture, providing optimal support and pressure redistribution. Let's now look at an example of how a flexible and a fixed postural abnormality is treated. If Flexible: Correct the abnormal posture by building up the lower side to correct the obliquity and even out the pelvis. If Fixed: Accommodate for the abnormal posture by "filling in" the higher side for more even weight distribution to protect the protruding bony prominence on the lower side. *Flexible is also termed reducible; fixed is also termed non-reducible. 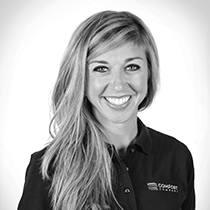 Now that you have an understanding of the common abnormal postures, you can easily assess your client’s posture and address what needs to be corrected or accommodated in the wheelchair and seating system.